GOING CLEAR intimately profiles eight former members of the Church of Scientology, shining a light on how they attract true believers and the things they do in the name of religion. 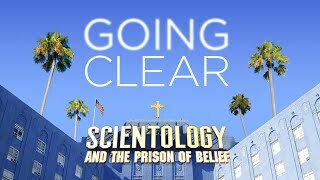 Currently you are able to watch "Going Clear: Scientology and the Prison of Belief" streaming on Mubi. It is also possible to buy "Going Clear: Scientology and the Prison of Belief" on Apple iTunes, Google Play Movies, Rakuten TV as download or rent it on Apple iTunes, Google Play Movies, Rakuten TV, Sky Store online.